PETER Reading’s passion and enthusiasm for Australian agriculture, and the cropping industry in particular, continues to burn fiercely after a long career at the upper levels of Australia’s agribusiness sector. 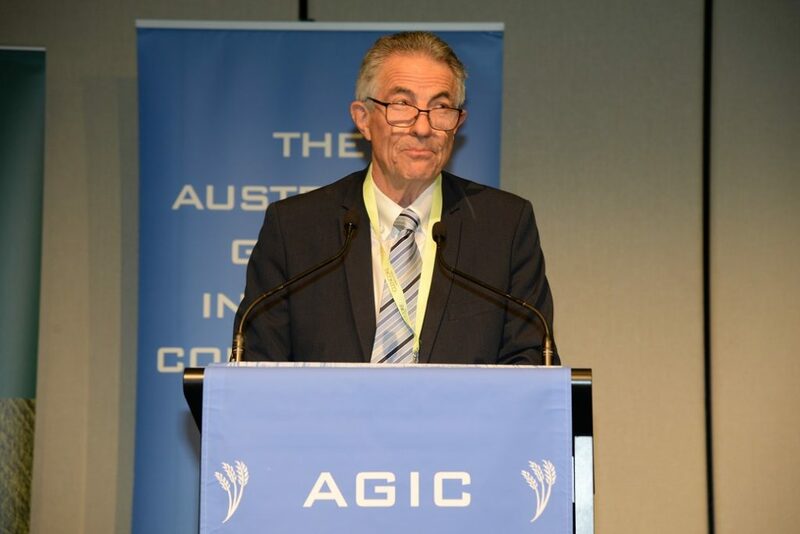 The outgoing chairman of Grain Trade Australia (GTA) plans to maintain a close interest in the ongoing evolution of the Australian grain industry as he eases towards retirement. 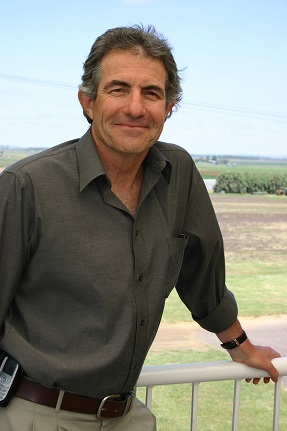 Through a career spanning five decades, he has played an integral part in shaping the course of Australian agriculture through leadership roles in key agribusiness entities such as Cyanamid, Incitec, CIG, Grain Pool, GRDC, Botanical Resources Australia and GTA. Stepping down from his latest role as chairman of GTA, Mr Reading said he had always been an advocate for succession planning. After seven years in the job he said it was “definitely time” to hand over the reins to the new chairman, Andrew Goyder. “It is always important in any management role that you never stay too long for lots of reasons,” he said. “My view is the first year you are getting to understand your business, who the people are and, critically, formulating a strategy for the next five years. “The second year you have your management team in place and you are implementing that strategy. “The next job is to look at your succession plan. You start that early and always have a couple of people who can come through. The boy from Sydney, whose family had run pubs, developed a taste for agriculture whilst visiting his high school mates’ farms at Hay in the Riverina. That prompted him to go on to Sydney University and complete an agricultural science degree which set him on course to a career in agriculture. “When I graduated in the 1972 drought there weren’t a lot of jobs going, so I decided I would go back and do veterinary science, but I needed a job for six months. I joined a chemical company I’d never heard of called American Cyanamid. It was going to be for six months and then I’d go back to uni to do vet science,” he said. Thus began a 15-year career with Cyanamid which led to management postings in Sydney, Hong Kong, the Philippines, the United States, Singapore and, at the age of 34, to the company’s headquarters in the US as manager for pesticides in the international division. “That corporate environment breathes. I learnt how to get on in a company. You need four things: you need to be right; you need to work hard; you need to be mobile; but the biggest one and the one most people fail on is what we used to call ’emotional intelligence’ and nowadays they call ‘organisational awareness’,” he said. By this stage he was married and carrying new responsibilities. He and his wife had come to the point where they needed to decide whether they would stay on in the US and become American citizens or “get out now while we can”. They took the decision to move back to Australia in 1988. Mr Reading relinquished his US job “after 15 fantastic years with Cyanamid” and joined Incitec in Adelaide for a year before moving back to Sydney to join CIG (Commonwealth Industrial Gases), which later came under the banner of the BOC Group. “CIG was looking at a way to grow its business. They used a product called pyrethrum in their insecticide range. They were frustrated they couldn’t get it so were investing in the University of Tasmania to try to develop an industry there,” he said. However, he again ended up overseas when he was diverted into the company’s gas business, ending up with postings with BOC to Perth, the Philippines and Malaysia. “But, I was always missing agriculture. I got a phone call from a head hunter saying: “Would you be interested in the Grain Pool in Western Australia?” So, back I came to Australia,” he said. Mr Reading said he was very passionate about WA and the future there and revelled in the Grain Pool role where he set about restructuring the business. “Basically I said to the Board: “What we have to do is cut costs, corporatise, demutualise, form a marketing relationship with ABB on barley, and merge with CBH because I could see deregulation was coming,” he said. While they offered Mr Reading the option to stay on as director of operations, he decided to move on because “you can’t have two CEOs”. Fortuitously, he was poached by the Grains Research and Development Corporation (GRDC) to be managing director, a role which cast him into the national spotlight and made him a widely-known figure throughout the Australian cropping sector during his six-year tenure. “That turned out to be the most complex job I ever had because, in those days, you had multiple stakeholders, none of whom really knew what they wanted,” he said. “One end of government says they don’t want any surprises and just want you to get on with it; the other end of government says they want to control you. Mr Reading said he considered the legacies of his time with the GRDC were leading the transition from public to private investment in research, and driving a focus on forward thinking initiatives. “I believed very strongly that with the State Departments continuing to pull out of investment, where there was opportunity for the private sector to step in we had to encourage that,” he said. “So, we initiated a big campaign of privatising wheat breeding. 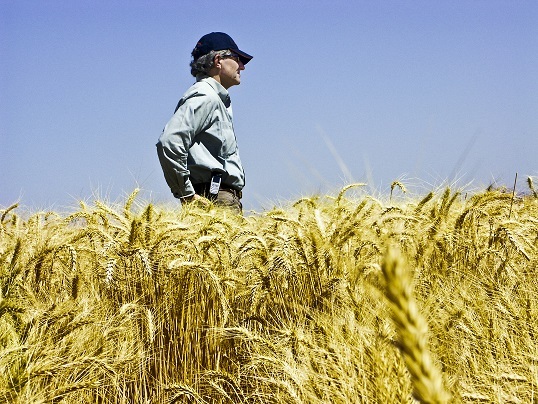 It was criticised, but now we have some of the most successful wheat breeding companies in the world. While stepping down from the chairmanship of GTA, Mr Reading expects to remain active on a number of Boards, including Batlow Apples, Biological Resources Australia and Dairy Bio, and hopes to retain some of those positions as he transitions to retirement. Peter Reading addresses this year’s Australian Grain Industry Conference in Melbourne. “I will stay on Dairy Bio and DairyFeedbase for a couple of years,” he said. “Batlow Apples went through major changes from a co-op and are now owned by overseas investors. That’s progressing. I’ll stay on there. “Hopefully, I’ll stay on with Biological Resources Australia. He’s particularly proud of the work undertaken by Dairy Bio and DairyFeedbase which are joint ventures between the Victorian Government and Dairy Australia. “It is a fantastic model that is doing come great work. It shows you where you can have an RDC (Research and Development Corporation) and government working together in a partnership,” he said. And it’s been a bitter-sweet time throughout his long-standing involvement with Botanical Resources Australia, firstly on the Board and more recently stepping in to take the role of executive director when the majority owner and close friend was diagnosed with cancer 18 months ago. Mr Reading oversaw the process of selling the business which was completed last November. “It was bought by Sumitomo Chemical who see the future going away from the harder chemistries into plant based, natural products,” he said. Mr Reading continues to sing the praises of agriculture for what it has achieved, the challenges it presents, the way it has changed, the opportunities and the potential. “I love agriculture. I love the grain industry and will miss it dearly. That is why I get ticked off when you hear the doomsayers. I think we are in a good space,” he said. “If you look at the stats, over the last 30 years the in-season rainfall in the grain belt of WA has gone down by something like 30-40pc. In that time grain yields have more than doubled. “Even if you look at the drought years, the production Australia has still been able to turn out is amazing.